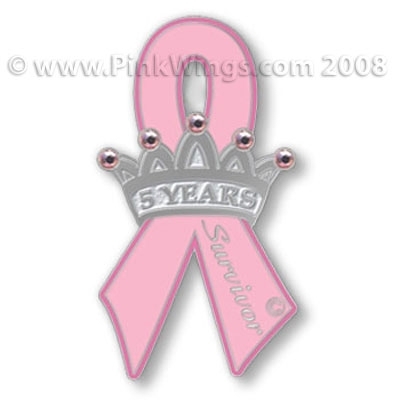 5 Year Survivor Pink Ribbon Pin This awesome pin is a great way to celebrate as a 5 year breast cancer survivor! 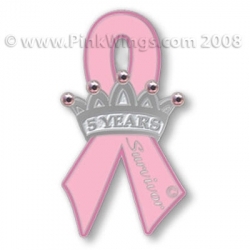 The pink ribbon has a crown with a pink stone on each tip. The word Survivor goes down the side of the ribbon. This makes a great gift for the Survivor in your life. SOLD OUT! OUT OF STOCK!